Rob and Pauline Bryans bought their 300 acre (120ha) property at Avonmore, 40km north of Bendigo, Victoria, in the mid 80s, at the end of a long drought. The property was the home block of a large grazing and cereals property, had been really flogged out conventionally, and was in very poor condition, virtually a dustbowl. Rob came from a farming background, many of his relatives being farmers. His great grandfather had rejected superphosphate and continued traditional organic farming, including a 2 acre vineyard, where local miners came to fill up their demijohns with wine. In the early 80s, Rob had seen the ABC episode of A Big Country about Alex Podolinsky and the Australian Biodynamic development. He was very impressed, and a seed was sown that would later come to fruition. When they bought the property, they wrote to Alex asking for his help in converting to Biodynamics. Alex visited, and gave them a 5 year program of work! They started spraying 500 soon after, in the first spring. Fortunately, the long drought broke in the spring, and Nature responded as she always does, with a vigorous flourish. This, together with the 500 saw tremendous soil and pasture development in a short time. Rob set about subdividing the two existing 150 acre paddocks into smaller paddocks for rotational grazing of their sheep. In the mid 90s their son Shaun wanted to come home from Western Australia and become involved in the farm. Realizing that 300 acres of grazing would not support two families, they decided to venture into viticulture. They did a few wine growing courses at TAFE, and planted the first 5 acre section in 1996. They wanted to start small as they had no experience with grape growing, and progressively plant more as they learned and as money was available. Over the next 5 years they planted another two 5 acre sections, and when Shaun came home, they planted the last 10 acres in one go. The total was now 25 acres of vines. Each new section was preceded by growing green manures to get the soil into good heart. The vineyard has seven different grasses, which are managed by slashing when required. Clovers and lucerne provide nitrogen to the vines, and oats, lupins, peas or red clover are sometimes sown. Rob and Pauline have a weeding implement which weeds under the vines, but haven’t used it for a few years. When they still had sheep, they used to put a mob of 300 ewes with lambs into the vineyard in winter, starting at 9am, and taking them out at 5pm. Because the ewes and lambs were always looking for each other, they grazed carefully and did no damage to the vines (in contrast to wethers or rams). They gave the sheep no water during the day so that the lactating ewes were happy to come out for a drink at 5pm. If water was supplied, it would not be easy to get them out. Unfortunately lambing (autumn in this hot, dry summer district) always conflicted with vintage, so, somewhat reluctantly, Rob and Pauline decided to only run cattle. Tractors and four wheelers are restricted to every second row as much as possible to minimize compaction, changing over periodically. Rob and Pauline spray prepared 500 in spring and autumn in the vineyard and in autumn on the rest of the property. 501 is only used in very wet springs and summers, or if red legged earth mite is attacking new grasses. They sprayed 501 twice in the wet 2010/2011 summer (December and January), as well as 10% Biodynamic whole milk to combat mildews. However, 9 inches of rain in a few days in January finished their season – they could possibly have saved the grapes by going in hard with allowable fungicides (eg copper) but decided that the quality would anyway not be something they could be proud of, so made no wine that year. Rob and Pauline spray the dormant vines with the BD winter tree spray, but use no sulphur (apart from what is in the winter tree spray mix) or copper in the vineyard. There are always a few “hot spots” in the vineyard, but diluted milk has always been enough to keep the vines and grapes healthy. In the 2011/2012 vintage, a massive hailstorm cut a swathe through part of the vineyard, cutting off young laterals as if with a knife, and peppering marble sized holes through the young leaves. It looked disastrous. Alex visited a few days later and recommended spraying the whole vineyard with valerian. Frances Porter (Bio-Dynamic Research Institute, Powelltown, Victoria) sent them 250ml of valerian, which they mixed with 2000 litres of warm water and sprayed. Within a month you wouldn’t know there had been any damage at all. The vineyard recovered dramatically, flowered again, and, although the yield was a bit down, it was a very good vintage. In a conventional vineyard, there would have been a serious risk of mildew, with so much damage, and a fungicide spraying program would have been essential. This area is very prone to frosts when the vines are flowering and putting out delicate new shoots. The 1.2 metre fruiting wire helps by keeping the vines well above the ground. If there is a likelihood of frost, Rob burns 14 round bales of straw at the end of the vineyard from which the wind is coming, to keep the temperature above zero. He starts them at 3am and they burn until 7am. The last few years the frosts have not been coming at the critical time so there has been no need to do this. Rob and Pauline have a bore, and water the vines “mean and lean”, only at important times such as fruit set and flowering if required. They water 5 acres at a time with drippers. No fertilizers are used in the vineyard. For best quality wine, they want small, intense, thick skinned berries, not big, blown-up, watery ones. Most vignerons in Australia do spur pruning, whereby a machine goes along and cuts off the top of the vine, and people go through later with secateurs and cut the spurs to two buds. Rob and Pauline prefer cane pruning – each year they take the whole vine off the wire and lay down a new cane. This is a lot more labour intensive, but results in new season’s wood each year, which is very good for disease prevention and also fruit quality. They prune to upwards or sideways facing buds, never downwards facing, to keep all growth well off the ground. Because they are pruning for two years ahead (leaving one bud for next year, and one for the following year), it must be done well. They get a Vietnamese team of contract pruners (they also do the picking) who do a very good job. The workers stay in the house with Rob and Pauline, and cook lovely Vietnamese food for them. This year Rob and Pauline have pruned some rows only very lightly as an experiment. Some Cabernet vines are spur pruned because they do not put enough growth on to lay fresh laterals every year, this is seasonal dependant. Of course, learning how to grow grapes, and doing the extensive work of planting and training young vines up to the fruiting wire, is just the start of the process! Once the vines start producing, the next stage is to learn winemaking. Shaun went away to learn winemaking, and Rob and Pauline worked with a master of wine in McLaren Vale (SA), getting the feel of how to make wine. They started with a few hundred kilos of grapes while learning from the master of wine, then a tonne. Once the vines really started producing, they sent the grapes to a winemaker who had had experience with Biodynamic wines and was recommended by Alex Podolinsky. Meanwhile, Rob and Shaun converted the machinery shed into a winery, bricking the walls, concreting the floor and heavily insulating the roof and walls. They added a whole new section at the back, also heavily insulated, and incorporating a second roof over the machinery shed, greatly increasing its insulation. Now, the winery stays cool in summer and warm in winter, never varying by more than two degrees! In 2005, they did their first big vintage on-farm, 50 tonnes, and have continued to do their own winemaking since then. Shaun now works off farm, but still takes an active interest, helping out at peak times. Rob and Pauline make wine with natural yeast from the vineyard. Although they use hydrometers and spectrometers, they primarily pick on taste. They wait until they have a beautiful fruit flavour, and then pick – this can result in a higher alcohol level, but they want to get the rich fruit flavours into the wine. When the Baume of the earliest variety (Shiraz) is nearly where they want it, Pauline picks 20 buckets of grapes, puts them in a large bowl, and treads them with her feet. Every three or four hours she treads them to get the oxygen working right through and start the ferment working. Once picking is underway, grapes are brought into the winery by front end loader and tipped into a hopper for de-stemming. They have the option of de-stemming or not de-stemming. 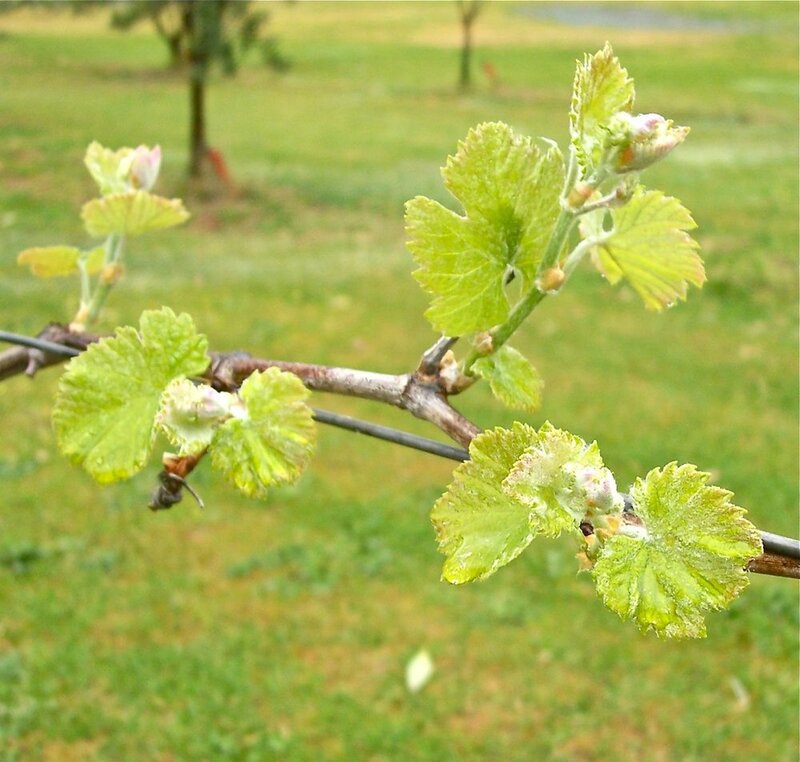 One of the many advantages of Biodynamics is that the grape stems are not bitter at all, in contrast to most conventional grapes, but have a nutty flavour. Sometimes when the grapes are very small, as can be the case with the Cabernet, it is impossible to get the berries off the stalk, so all goes in together for crushing. After crushing, the grapes go into 4000 litre vats for fermentation. The first variety to be picked is Shiraz. When the Shiraz picking is underway, Pauline’s starter is tipped into the first vat to start the ferment. Then, as more vats are filled, they take buckets from the first and tip it into the new vats. Most conventional wineries buy commercial yeasts that derive from French wineries, so their wine is fairly uniform and tastes similar to the French wines. The ferment also works quicker, being finished in 10 days. Using natural yeast, it usually takes about 25 days, up to 30 depending on the weather conditions. And the flavour of the wine is unique to the vineyard. Sometimes the fermenting wine doesn’t smell very good, and the temptation is to add some commercial yeast to knock out any bad bacteria, but if they wait, it almost always resolves itself and finishes well. Every 3 hours, day and night, the vats are plunged by hand. When the ferment finishes, the liquid is drained out into other tanks, and the solids are put into a press to extract the last of the liquid. The remaining solid cake is then sent to a processor who cold presses and extracts grape seed oil from the seeds. Grape seed oil is a very healthy oil, used in cooking and massage. It lowers bad cholesterol, is excellent for the skin (it is used as a base in many skin creams) and has been shown to inhibit the development of Alzheimer’s disease. 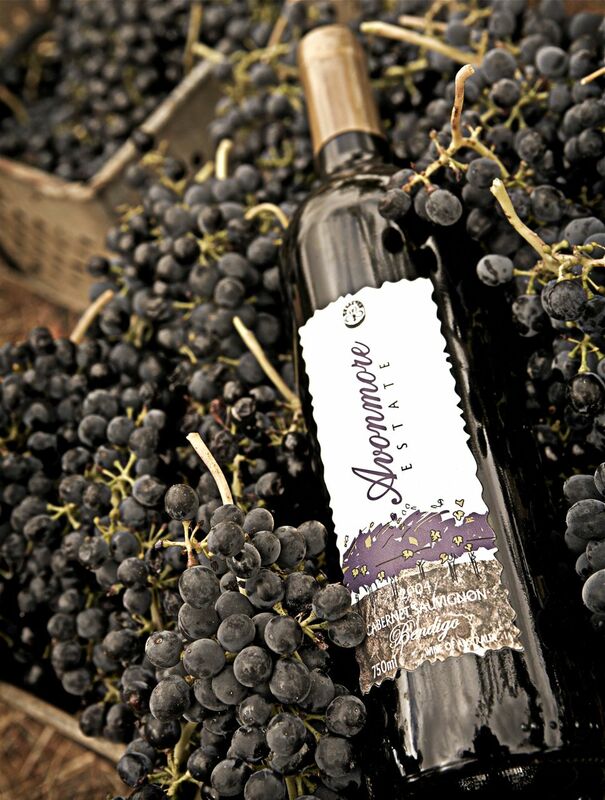 Their oil is very high quality, one tonne of grapes yielding just 1 litre of highly concentrated oil. The residue is returned to the farm and the vineyard as compost under the vines. The wine is kept in the tanks for 2-3 weeks to allow solids to settle, then transferred to barrels. Rob and Pauline use French Oak for Cabernet Sauvignon, American Oak for Shiraz, and second hand barrels or Hungarian Oak for Sangiovese. The white wines are not put into barrels but kept in stainless steel tanks. The red wines stay in the barrels for up to eighteen months before bottling. A second ferment occurs during the time in the barrel. The wine is taken out of the barrels three times, and the barrels steam cleaned to remove any residues at the bottom before the wine is returned. Barrels are not cheap – a new French oak barrel is around $1800. Rob and Pauline are meticulous with cleaning the barrels and are able to use them for up to five or more years. Rob and Pauline don’t filter their wine, because they don’t want to lose valuable fruit flavours. They rely on natural settling to remove most of the sediment (a little sediment remains at the bottom of the bottle). Nor do they use any of the normal processing aids, such as egg, fish or milk by-products, and don’t use any preservatives at all in their wines, all wines are vegan/vegetarian suitable. After the barrel, the wine is transferred to big stainless steel tanks outside the winery. In winter, temperatures drop below zero, which is ideal for settling out solids such as tartrates. After this the wine is kept in a milk vat and the temperature dropped to -6C (wine doesn’t freeze because of its viscosity) which drops most of the remaining solids. In the early years, Rob and Pauline got a mobile bottling line (an Australian innovation, a self-contained plant, built into a large caravan) to come each year to bottle the wine. However, it always came around Christmas, and all the wine had to be bottled at once in a frantic rush. Later, they bought their own second hand mobile plant, and can now bottle at their own pace, and do smaller lots as required. The plant requires six workers when running at full speed, but two people can manage if it is slowed right down. After bottling and labelling, the bottles are laid down in crates to age for a further 12-18 months. Rob and Pauline don’t sell new wines. Their 2012 reds are only just now being released. Avonmore wines are exported to Asian countries including China. China is now Avonmore’s biggest export market. Avonmore is one of only four wineries in Australia, and the only certified “Demeter” Biodynamic Australian winery certified by the China Organic Food Certification Center (COFCC) which is mandatory by Wine Australia and COFCC China to be authorised to export certified organic wine into the People’s Republic of China. This process has taken some years to evolve, and is a very detailed and thorough process of independent certification and inspections each year. Every bottle of Avonmore Estate wine exported into PRC has an individual personalised number, COFCC sticker, along with Biodynamic Research Institute and “Demeter” accredited logo. In May 2017, Avonmore attended “Bio-Fach” Shanghai, China with their China Agent, promoting Avonmore Estate Biodynamic Wines at the NASAA stand for Australia in the China Organic Food Certification Center (COFCC), highlighting Organic produce from around the world (over 700 sites). Avonmore will again be at 2018 Bio-Fach, Shanghai. In February 2018, Rob and Pauline will be hosting guests from the marketing team and distributors in China at Avonmore Estate, with a farm stay along with an Australian Chinese New Year celebration including a dinner in the winery, using Avonmore Winery produce. However most domestic sales occur at Accredited Farmers Markets in Victoria. Rob and Pauline between them attend 8 farmers markets a month. They find it a very good way to promote their wine and Biodynamics, and to establish relationships direct with their customers. It is also a good way to get off the farm and socialize with their customers and with other BD farmers. Many people, when they hear that the Bryans have been practising BD for almost 30 years say “wow, you must be one of the first”, and are surprised when Rob and Pauline tell them that BD was going for decades in Australia before they started. Rob and Pauline run 50 Red Angus breeders. They rotationally graze the pasture, and pasture harrows are used after each paddock is finished, to spread the manure. As with the vineyard, no fertilisers are used on the pasture. The cattle are sold at about 14 months as Biodynamic to Biodynamic butchers Rendina’s and Belmore Meats in Melbourne. Rob and Pauline have built two bed and breakfast units on the farm, and nearby, an outdoor under-cover eating area built with recycled timbers, complete with barbecue and pizza oven. This area is booked for functions once every month or so, and will build up in time. A lot of people they meet at the farmers’ markets come and stay in the B&B units. The road to wine making is a difficult and expensive one. However, in contrast to a grower of fresh vegetables, who has to pick and get produce to market, and hope for good prices, Rob and Pauline know that the wines they are selling at the moment will be good until at least 2025. Rob and Pauline tell people they are not just running a vineyard and winery, but a whole integrated BD farm, with many different aspects. One of the beauties of their mixed farm is that, when the extreme weather of the 2010/2011 summer left them with no vintage, the cows did extremely well with the lush grass. They are very grateful to be farming Biodynamically, because they feel they are so much healthier for it. For the health and longevity of the farming family, it’s definitely the way to go.